All applications must be completed by April 12th, 2019. Qualified applicants are accepted on a first-come, first-serve basis, so it is possible for all spots to be filled before the application deadline. Once accepted, participants will need to fill out a number of forms and to pay tuition. The deadline for tuition payment is May 10th, 2019. 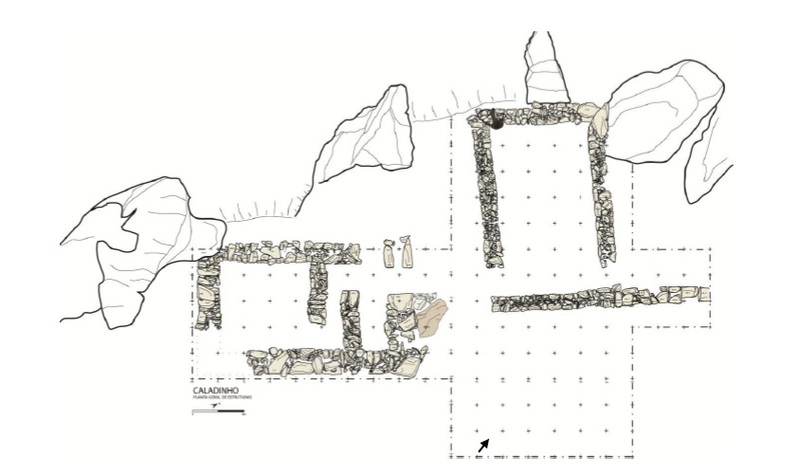 ​The Caladinho Archaeological Project is seeking qualified applicants for its 6th season of excavation at the site of Caladinho, Portugal. Last summer, our team uncovered the remains of a fortified structure related to the Roman colonization of the region in the 1st century B.C.E. This upcoming season of fieldwork will complete the excavation of the main structure and continue targeted archaeological reconnaissance of the remainder of the site. Field school students will receive instruction in excavation and surveying techniques, the handling and processing of artifacts, and the drawing of exposed areas and features. Tuition is $1800 for 3 weeks, and includes room, board (on weekdays), and the cost of transportation within Portugal. Participants are responsible for their own plane tickets to and from Lisbon. More information about the field school program and life on the project can be found on our Field School page. Student tuition is the primary source of funding for this project. All payments made to the project go towards the conservation of the site and artifacts, accommodations for the crew, and funding for specialist analyses. Please contact Karilyn Sheldon at kgsheldon613@gmail.com or Joey Williams at jwilliams172 at uco.edu for more information.